The saying goes “milk does a body good.” But despite that, too few of us really drink the white stuff, and that includes adults and kids. In an effort to get more kids to benefit from the nutrients milk offers many school districts including Fresno Unified served up flavored milk, both chocolate and strawberry. So along with their daily intake of vitamin A, calcium and potassium, students were also getting sugar a lot of sugar, about four additional teaspoons in an 8 ounce serving of chocolate milk. “We began in the fall of 2010 learning more about the chocolate milk issue and the added sugars in chocolate milk, says Jose Alvarado, food services director with the Fresno Unified School District. He says the district had been working with U.C. Cooperative Extension to provide healthier foods to its students. With the valley having one of the highest childhood obesity rates in the state, schools were under pressure to make changes to their menus and flavored milk was a target. “So we started doing research in terms of what was in our milk,” says Alvarado. Alvarado says the district began working with its vendor, producers dairy to find ways to make their milk healthier, they first removed the high fructose corn syrup from their flavored milk. Alvarado says the kids, who were probably the best taste testers, didn’t notice the change, but removing the corn syrup wouldn’t be enough. By then the controversy over flavored milk in schools was heating up. Fresno Unified did remove strawberry milk from its menu saying it had no nutritional value, many kids didn’t seem to miss it. In talking with students at one Fresno elementary school, one thing is clear, they do like the chocolate milk. Few even mentioned white milk. Sara Bosse with the UC CalFresh Nutrition Education Program says the agency wanted to find out just how many of Fresno Unified’s students had even tried white milk. Armed with that information, Fresno Unified thought long and hard before eliminating what is the only source of milk for many of its students. “When at all possible we want children to choose white milk because it has no sugar added to it but in a real world where kids are use to drinking chocolate milk it’s important to consider all the different options they have and keep them consuming this important food group,” says Bosse. Instead of eliminating chocolate all together the district and producer’s dairy worked on making a healthier version of the flavored milk. All agree it was a huge undertaking on the part of producers. “It’s not a simple ‘you just flip the switch and stop adding this much sugar.’ It’s a big undertaking. There were a lot of people involved,” says Richie Shehadey, director of sales and marketing for Producers Dairy. It was a long process. Producers looked at what other companies were doing and worked with its chocolate supplier to come up with just the right mix. “So we tasted a lot of chocolate milk from different places and ultimately we wanted to come up with something people liked because if the kids don’t like it they aren’t going to drink it. If they don’t drink it then they aren’t getting that nutrition from milk,” says Shehadey. For Producers and the school district, it was a process that started in 2011 with the elimination of high fructose corn syrup from their flavored milk. And by the end of that school year producers had come up with what it hoped was a winning formula. 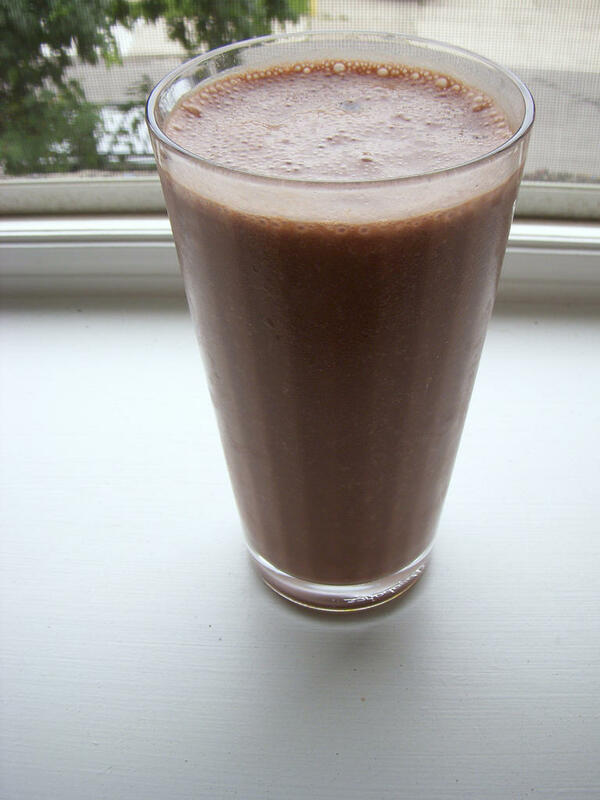 “A lot of people think that chocolate milk is the enemy and in fact, it’s really the sugar. People were unhappy with the amount of sugar in chocolate milk and basically we were able to do is come up with a solution which is the best of both worlds,” says Shehadey. The fat free chocolate milk introduced to students last January had a total of 120 calories, ten calories less than the one per cent white milk, and contained 19 grams of sugar, just 3/4 of a teaspoon more than the white milk. Fresno Unified’s Jose Alvarado says district wide students are consuming a lot less sugar. Fresno Unified says not all health professionals agree with their decision to keep chocolate milk on the menu but all those involved in the process of coming up with a healthier version believe it is a good compromise. A Central Valley dairy is once again facing a recall of its milk products, just months after a similar incident resulted in products being pulled off store shelves. The California Department of Food and Agriculture announced the recall of raw milk, raw skim milk and raw cream from Kerman based Organic Pastures Dairy today after a routine test discovered campylobacter in a sample of cream. The recalled products all bear the date code of September 13.